It’s totally legit to think this way. Chances are you’ve already noticed a significant drop of the open rate for your event email marketing campaigns. With an estimation of more than 124.5 billion business emails sent/received per day, you should think whether this strategy is really helping to promote your event. Considering the information overload and split attention across multiple communication platforms, the death of email marketing comes as a natural phenomenon. However, as marketing expert Derek Halpern highlights email marketing is still alive and powerful. According to Halpern, the problem is not that the email open rate is declining. That’s nothing else that the symptom of a bigger problem: Nobody is saying that’s really relevant anymore. In other words, the only reason people will ignore your event email campaign is your lack of authenticity. Subsequently, the power of email marketing is decreasing. Believe it or not, that’s actually good news. The solution is not to fix your email provider. The solution is to charge your event marketing campaign with relevance. The number one problem with email marketing is lack of character and relevance. Think about your own email inbox. How many times have you actually opened a promotional email? And how many times have you seen a promotional email in your inbox and marked it as spam or deleted it without even opening it? Most people will read your email headline (if you’re lucky) and then immediately jump to another piece of information, forgetting about your flat subject message. 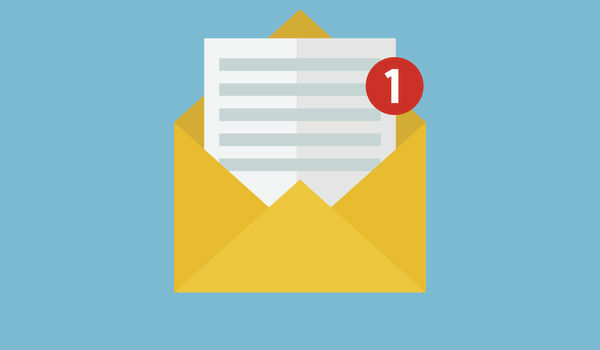 If your message isn’t relevant, you have zero chances of getting a decent email open rate. That’s why the first step to building a successful event email marketing campaign is not choosing an email provider or setting up a nice template—it’s to explore and understand who your attendee personas are and what matters most to them. People are self-centered. It sounds a little harsh, but the truth of the matter is, most people don’t really think much about things that have nothing to do with them. That’s why both the email subject line and body must immediately connect with a person. How do you achieve such a degree of mastery? Easy! Start interacting with people. Have a conversation with a potential attendee, then with another, then another, and so on. Note what people are saying (related to the topic of your event) and highlight the common parts of their narrative. Then build your invitation or an event email marketing campaign around those ideas and keywords. Here’s a quick trick you can use whenever you have a low email open rate: Send the same email with a different headline. After evaluating what interests your end receivers and what’s relevant to them, you can easily craft another email subject that can grab their interest and motivate them to click on the message. Another problem with email marketing is the language you use. Who’s going to care about your event if you treat your end receivers as objects instead of real people? Carefully craft the copy of your emails, considering the humane elements. Don’t write in a monotonous, flat tone. Put some heart and soul into your email. Be genuine, conversational, and approachable; ask questions, and treat your mailing list as human beings, not generic names. This is something your target group will definitely notice and appreciate. It’s simple. Depending on the industry (whether your event is for the automotive or FinTech sector), if the open rate of your email marketing campaign is low, that means you have to change something. Don’t just wait around to see if the open rate increases within a few days. Apart from that, there’s another metric you have to check: the click-through rate. It’s not enough to get people to open your emails—you also have to convince them to click on the call to action you added in the email body, which will take them to the event page. Make sure you have those metrics under control. Email marketing is alive and strong. The only thing that is dying is the unreasonable and irrelevant ways event email campaigns are built. People don’t want spam; they want meaningful messages in their inbox. The question is: Are you ready to bring out your authentic side and craft emails written for human beings? Thanks for great ideas. Good we have scheduling option at remail.